The profit motive is not to blame. There are as many unethical actions in government and the non-profit sector as there are in business. Even though the profit motive can drive people to get ahead no matter what, so can political and bureaucratic motives. Does anyone doubt that the drive for position, power and fame is as ethically deforming as the drive for profit? It is only when seeking profit means seeking profit at any cost that you are likely to find ethics issues. But seeking power or fame at any cost has the same consequence. 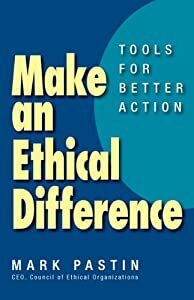 This is discussed in more depth in my book, Make an Ethical Difference.